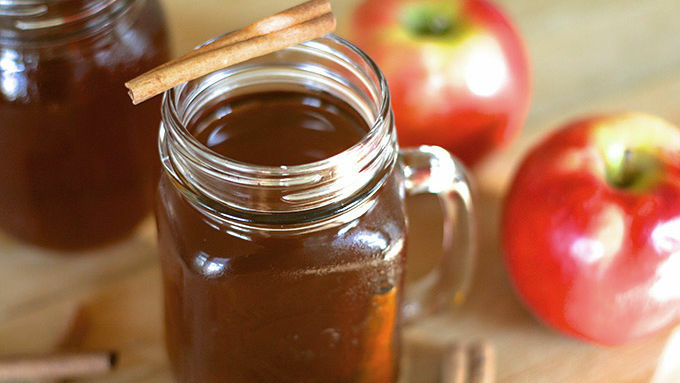 Combine apple juice, cider, cinnamon sticks, cloves and both sugars in a large stockpot. Heat over medium heat and bring almost to a boil. Reduce to a simmer, and cover. Simmer for about one hour. Cool completely. 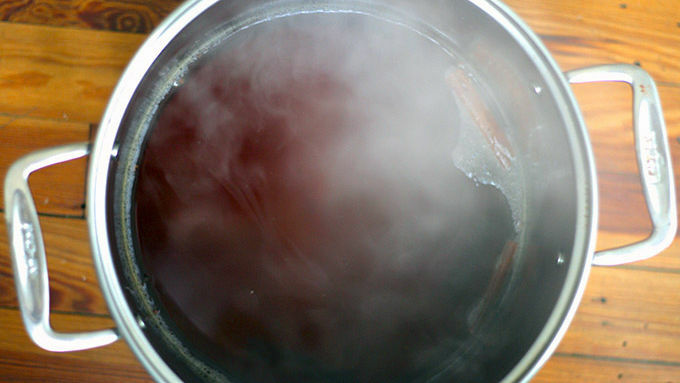 Strain out cloves and cinnamon sticks and stir in alcohol. Serve hot or cold garnished with a cinnamon stick and/or apple slice. Store in refrigerator. Apple pie in a Mason jar? Yes please. Oh...it has booze, too? Sign me up! 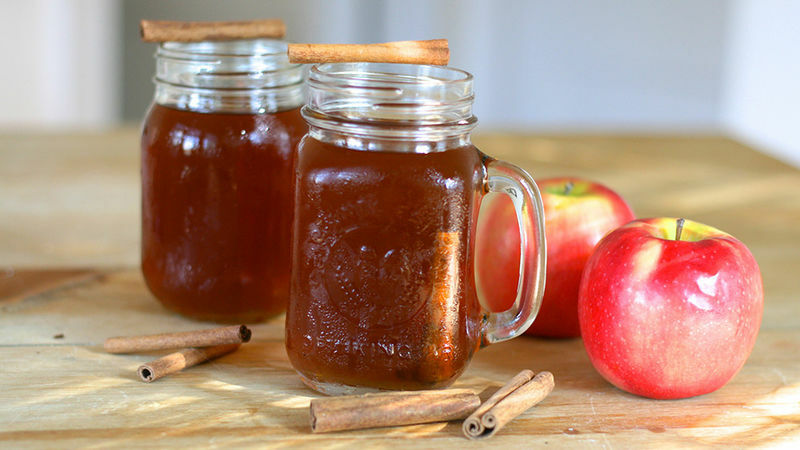 With just some apple cider, apple juice, spices and booze, you can whip up a batch of this fall-flavored drink. Seriously, this amazing “moonshine” is autumn in a jar. (Don’t worry; it’s not real moonshine, so you aren’t doing anything illegal.) If not using right away, store in the refrigerator.